Prior to launching my startup I was fortunate to have a career in sales. 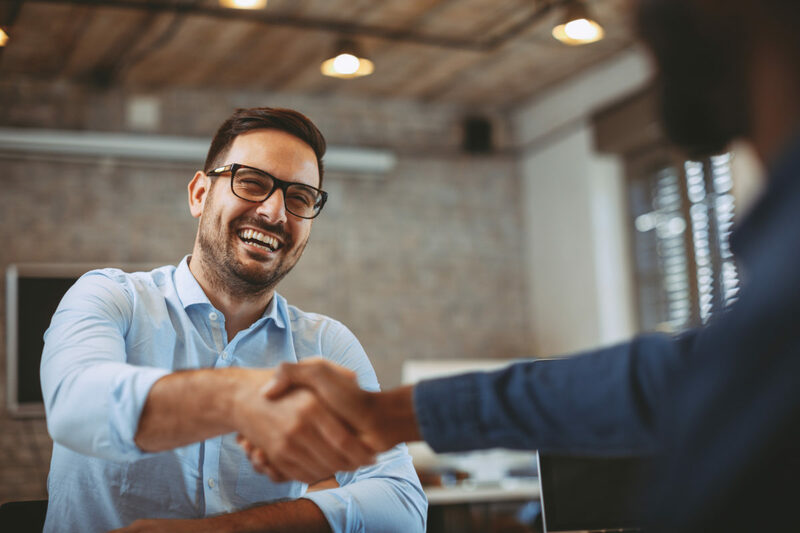 That professional selling experience and the emotional ups and downs of winning deals has turned out to be a helpful primer for entrepreneurship. I didn’t have any professional sales training at first so like most entrepreneurs I had to learn things the hard way. It didn’t take me long to understand that following a few basic fundamentals and best practices were the key to systematically winning new accounts. It turns out that most of us follow a similar buying pattern and if we are presented with a solution to a real and pressing problem then odds are we will make a purchase. The difference though of which solution we buy often comes down to the relationship or trust that we establish with the business offering the solution. At this point of my career I pieced together that the key to my selling success was going to rest on my ability to build relationships. This meant more than a LinkedIn connection or initial presentation, it meant that I needed to connect multiple times and ask the right questions to understand the heart of the problems that I could solve for the prospect. Through a process of trial and error I found that it took me about 7 customer touch points before I developed a rapport with a prospect. These touch points included a combination of meetings, phone calls, web demos and personal email follow ups. If I was able to have lunch or coffee with my prospect then my odds of success shot up even further. My product was fairly expensive with a sales cycle that took several months so your product may be more or less involved. Still, we tend to need this type of process to make a relational connection to understand what will solve a problem for our customers and move them to buy. With lots of different prospects in my sales funnel and systematically moving them through each touch point, the amount of information becomes mind boggling. It didn’t take long before I realized I needed a customer relationship management system CRM. I tried many different ones from Act to Sales Force and some of them were quite cumbersome. For me I just needed a way to keep tabs on everyone in my sales funnel. Which ones were my raw leads, which ones were prospects and which had converted to customers. Along with that I need to understand the revenue opportunity for each, where they were in the touch point process of my sales funnel and to keep track of all the intel and communications I have had with them. Lastly I needed to create reminders for myself to trigger follow up for my next touch point to move them along the sales process. At Cultivate, our nonprofit in Columbus Ohio, we assist entrepreneurs in implementation of their process to win new customers. Many of these services are free or part of a nominal membership fee. We recognize that most startups are starved for cash so where we can recommend a free solution everyone wins. The free CRM solution we recommend is HubSpot. There are plenty of upgrades that HubSpot offers which can get pricey but the free version is a great starting point. With these 5 steps you will be well on your way to success with a CRM. If your business is in the Columbus Ohio area and you would like a little help getting a CRM setup with your pipeline stages, Cultivate can help. We offer a range of entrepreneur support from educational workshops to one on one coaching to help you win new customers as well as get capital to grow.